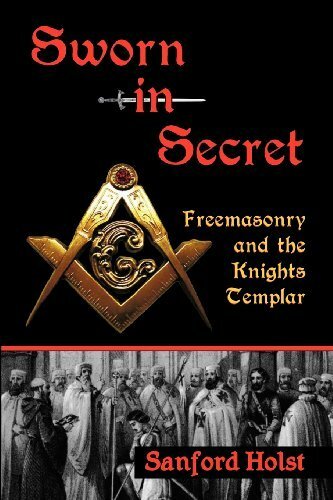 This exceptional look deep into the early days of Freemasonry draws back the veil of secrecy surrounding this long-lived society. It was a true secret society before 1717, and most knowledge of events in those years became lost--but some original documents and many isolated records remained. This wealth of material has now been brought together to shine a surprisingly bright light on the people who shaped Freemasonry and on the development of its secret symbols, rituals and practices. Masonry's controversial relationship with the Knights Templar and Vatican also takes on new and significant meaning. The roots of Freemasonry are traced to the building of Solomon's Temple, the rise of Christianity, and the Crusades in Europe. The emergence of this secretive society in Britain had a strong influence on America. All of this is brought to life by the experiences of actual people who lived through these events--often told in their own words and drawn from remarkable collections of manuscripts and records dating back to those times. This journey of discovery is illuminated by 45 illustrations showing the symbols, people and places that made Freemasonry into what it is--a society with secrets. Sanford Holst is a noted historian and the author of Amazon's #1 book on the Phoenicians--the people who helped build Solomon's Temple. The papers he presented at universities in the USA and overseas resulted in his being elected to the prestigious Royal Historical Society in England. A 32nd degree Mason, he was able to obtain access to Masonic manuscripts not normally seen by the public or most Masons. He explored Masonic and Templar sites ranging from Scotland to the Holy Land, and benefited from the work of local experts. His informative websites are read by over 600,000 people each year.